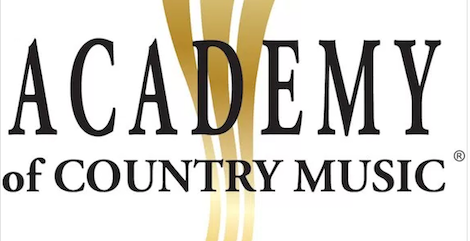 The Academy of Country Music has announced some changes to its ACM Awards radio categories’ criteria and open submissions date for the 53rdAcademy of Country Music Awards. For the first time in the National On-Air Personality of the Year category, submissions will be accepted from terrestrial, satellite and internet radio personalities, if all eligibility requirements are met. The Academy has also removed the requirement to be a current Academy member to be eligible to submit for all radio categories. Additional changes to On-Air Personality of the Year, National On-Air Personality of the Year and Radio Station of the Year categories include a shorter aircheck, and a streamlined essay portion with a maximum length of five hundred words – replacing the individual written summaries of industry or community work, etc. For additional details, visit acmcountry.com/voting-criteria. Open submissions for the 53rd Annual Academy of Country Music Awards will begin Wednesday, Jan. 3, 2018 at ACMcountry.com and will end at 7 p.m. CT on Monday, Jan. 15, 2018. The radio eligibility period is between Nov. 24, 2016 to Dec. 31, 2017. The 53rd Academy of Country Music Awards will air live next spring from Las Vegas on a date to be announced, on CBS.